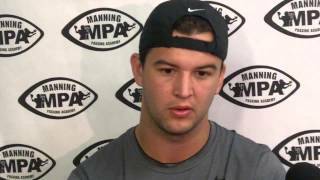 Breaking news from reporter Russ Mitchell of College Football reports that Alabama quarterback AJ McCarron may have a small tear (meniscus) in his right knee. Keep in mind, no one from Alabama or in fact any Alabama beat writer to this point, has confirmed this story to be true. "He practiced (McCarron) on Monday. Saban would not have had him practicing if it was a significant tear." McCarron's mom Dee Dee Bonner reportedly said on Twitter that the story is 100 percent false. Bonner pretty much put the reporter on blast calling him out for starting this "rumor" without confirmation.